All shorter, mid week cycling sessions are scripted in detail and done on the indoor trainer for time efficiency. The plan is designed with optional easy OR off days and is also flexible enough that you can move sessions as they fit in your schedule. 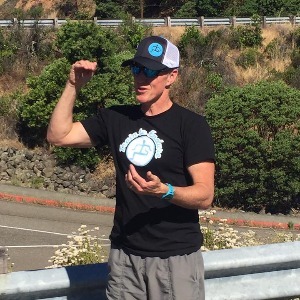 AS a 28 year veteran of the coaching industry (and as an athlete) I have an intimate knowledge of what athletes need and can handle, be it elite or an age grouper managing a tight schedule. I am a USAT Level II coach, and have been certified by USA Triathlon since their inaugural certification class in 1998. As well I am currently a Coach and Instructor of Kinesiology at Santa Rosa Junior College (Ca.) and run my Endurance Sports Coaching, Consulting, and Mentoring Business.